2 connecting rooms (one room apprx. 17 sq meter the other room apprx. 21 sq meter) with 2 private bathrooms, air -conditioning, free WiFi, safety box, satellite TV, minibar,desk, hairdryer and special toiletries. 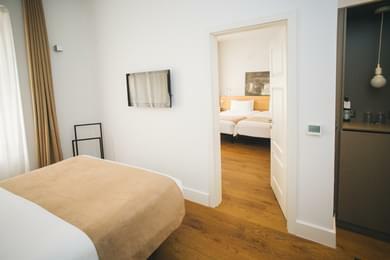 1 Double bed in each room. Perfect for traveling with family or friends. Soundproofed room with 2 twin beds + 1 extra bed ( 0.90 metres ). 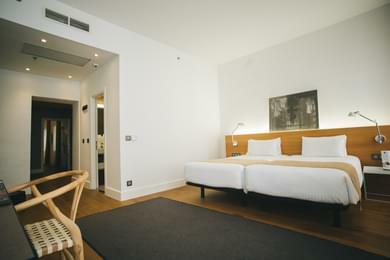 Air- conditioning, free WiFi, safety box, satellite TV, minibar, desk and room service. Full bathroom with hairdryer and special toiletries. 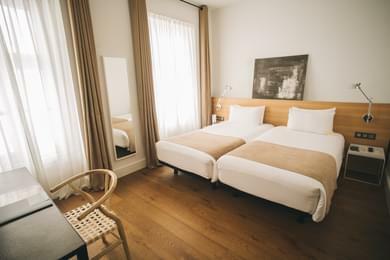 Soundproofed rooms for double or individual use ( 2 Twin beds or 1 Queen Size bed ) with air -conditioning, free WiFi, desk, safety box, satellite TV, minibar , room service, full bathroom, hairdryer and special toiletries. 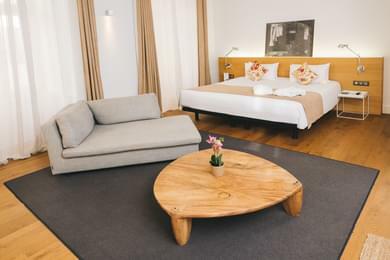 Large rooms with 3-metre high ceilings and exterior views, completely equipped with a king size bed, free WiFi, desk, air-conditioning, safety box , minibar and room service . Premium Services: Free tea and coffee facilities, large plasma screen TV with satellite channels and special toiletries. Large and welcoming room with two separate areas. 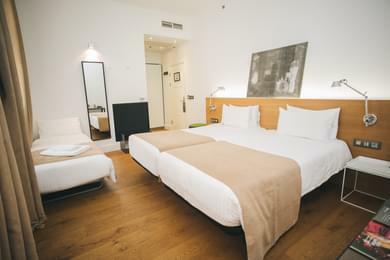 Independent bedroom ( with 2 Twin beds or double bed) and and comfortable lounge with1 Queen Size Sofa bed. 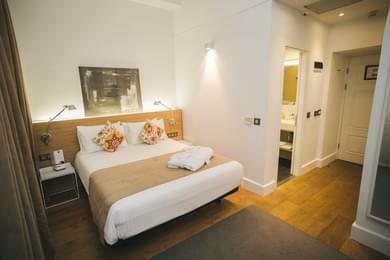 Private bathroom, air -conditioning, free WiFi, safety box, satellite TV, minibar, electric kettle, desk, room service, hairdryer and special toiletries. Premium Services: Free tea and coffee facilities.